Parents who want the best for their children know that providing opportunities for learning outside of the classroom help to develop greater knowledge of the world. If you’re looking for a great place for your child to learn in a fun, hands-on and interactive environment, look no further than these 10 great educational activities in Oklahoma! The Science Museum has been providing hands-on science and math activities for children since 1958. It’s probably one of the best places to explore how science impacts your life. The exhibits change periodically, so it’s always something new at this museum. For educational activities focusing on nature, Oxley Nature Center is one of the best places in the state. The Saturday nature walks are a great way to explore birds, butterflies or plants, and if you want a special nature walk, make sure to check out their night-time walks. TASM celebrates aviation history, primarily the city’s contribution to air and space exploration, but there are many exhibits that are hands on, giving a child to experience science. Who wouldn’t enjoy going to “a world where play is encouraged and valued?” Children have the chance to milk a cow, gather eggs and take them to the store to sell. They can pretend to be medical staff or climb a tree slide. It’s always an adventure. Children must be accompanied by adult, but young and old will enjoy the playtime. You can pretend to be an archaeologist, wear a judge’s robe or put out fires as a firefighter inside this wonderland. The Tulsa Garden Center might be known as an event center, but it also features a number of excellent children’s programs to get kids engaged with the earth. Come to a reading, take a tour or come out to a learning program to explore gardening with your kids. A life-sized Lite-Brite, nanotechnology, a critter corner and more await in this museum in northwestern Oklahoma. There’s a special area for toddlers with interactives and a touch wall to let them feel grown up and have some freedom to explore. Kids and adults will enjoy this wonderful educational center. Sam Noble is the home for dinosaurs, but there’s so much more at this natural history museum just south of Oklahoma City. 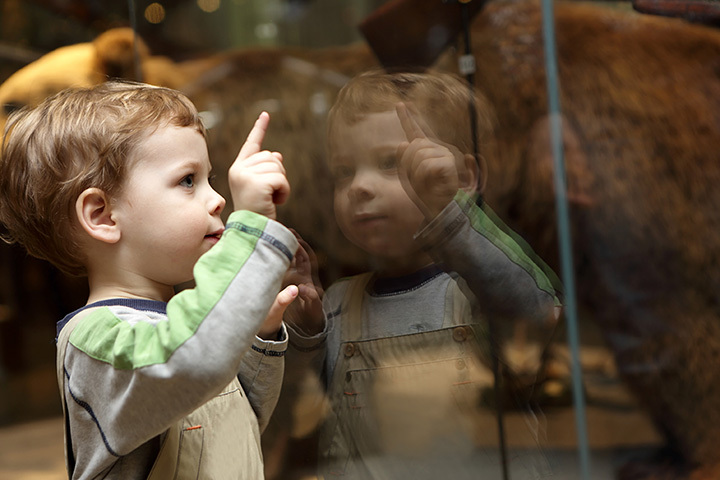 Learn about Native American culture, paleontology, archaeology and biology when you visit this eco-friendly museum. Although the fall is the best time of year to visit the farm to make your way through the corn maze, Orr Family Farm is open year-round with plenty of educational and fun activities to give your child a look at living on a farm and understanding animals. Discovery Lab has a mission of inspiring children and building community through exploration and play. Hands-on play makes learning fun and the experiences are designed to complement current classroom curricula.